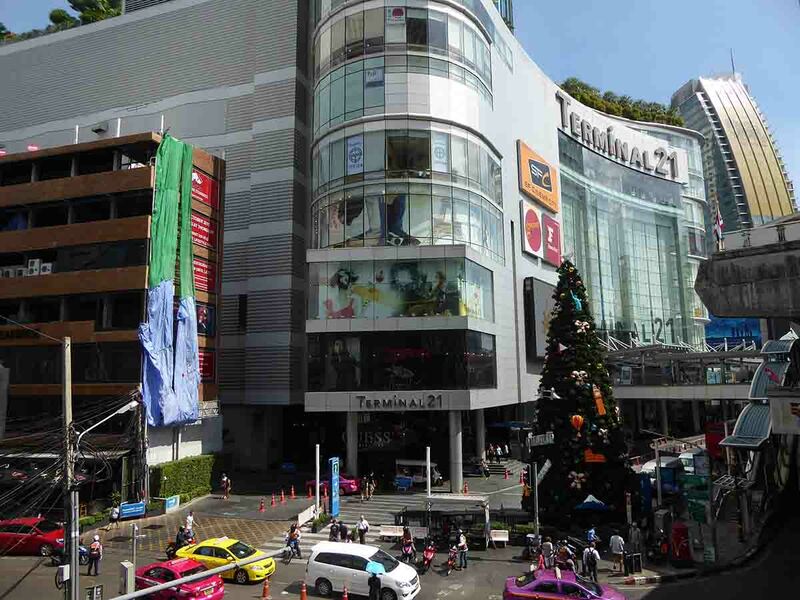 Sukhumvit Road is one of the most popular tourist neighborhoods of Bangkok with many hotels in all categories. It has good public transport links. 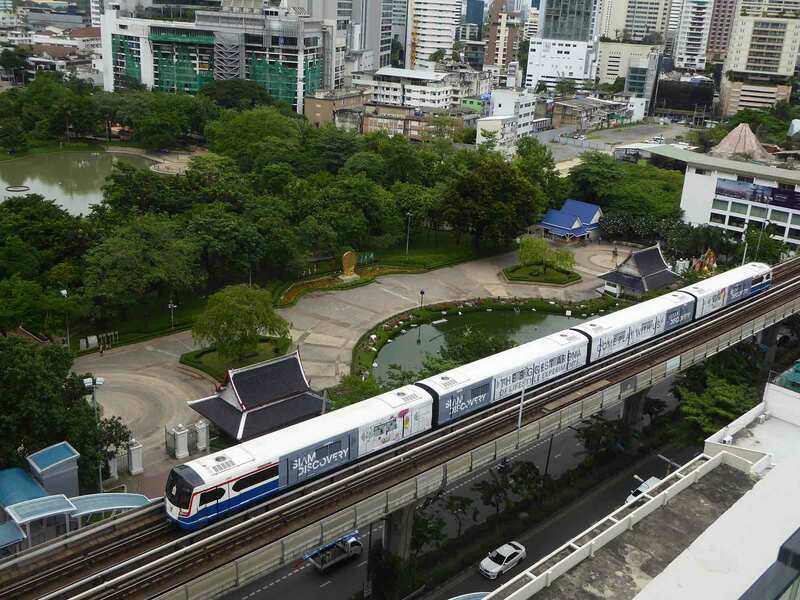 The BTS line runs its inner-city length and intersects with the MRT at Asoke. Taxis are plentiful making it a good base for exploring the city. Sukhumvit lacks cultural attractions but makes up for it at night. 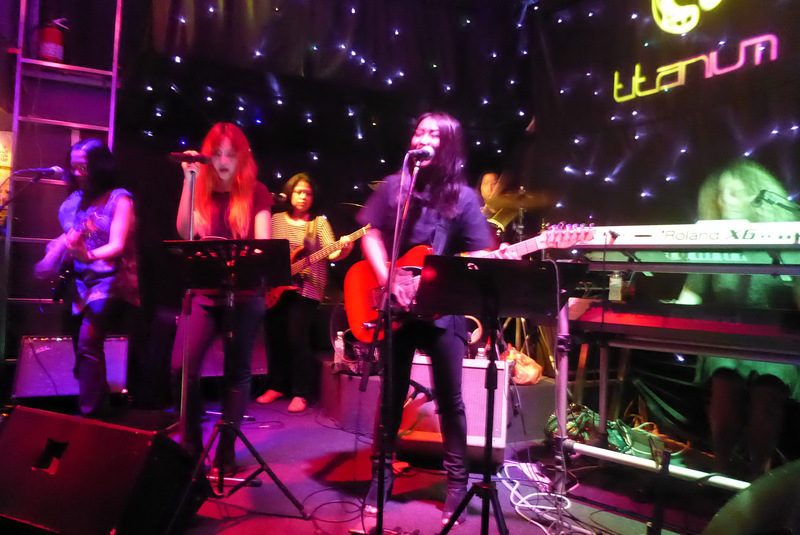 Some of Bangkok’s best bars, pubs, restaurants, nightclubs, and live music venues, are here. 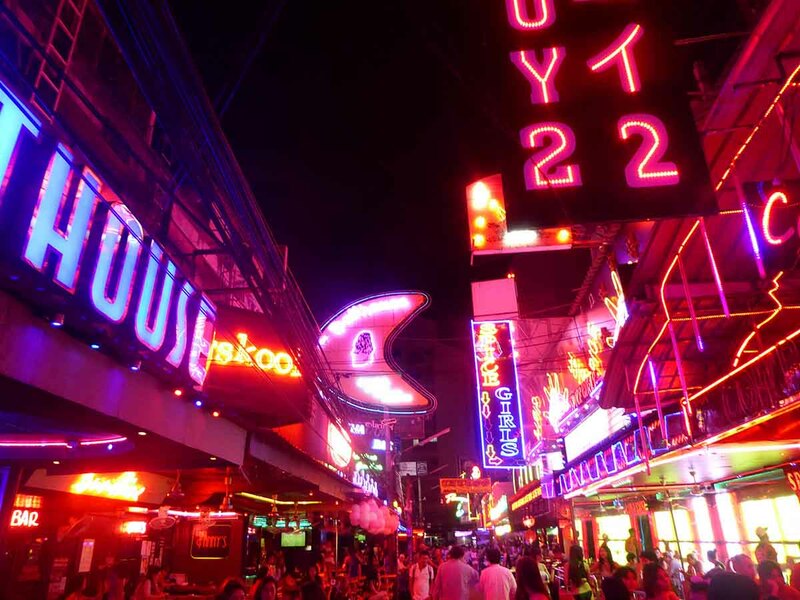 There are also the adult nightlife areas of Soi Cowboy and Nana Plaza. 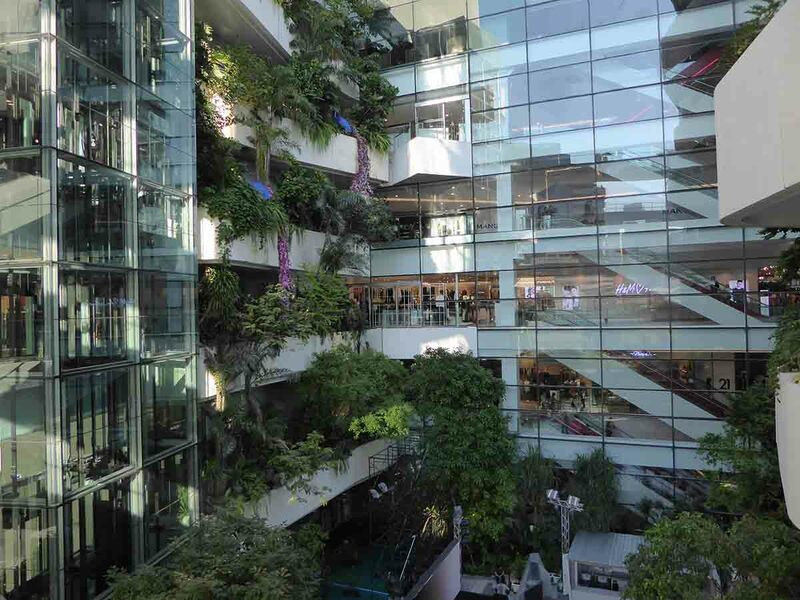 Shoppers have a night street market and two of Bangkok’s most trendy malls the EmQuartier and Terminal 21. Sukhumvit has the most extensive accommodation options in Bangkok. There are hostels, budget, boutique, mid-range, and high-end hotels.